According to the results of a sociological survey conducted among German citizens by the online platform ab-in-den-urlaub, German holidaymakers are most annoyed by fellow vacationers from Russia and Great Britain. Among 12 nationalities appearing in the survey, Russians were the definite leaders: the Germans were irritated by their noisiness (60% of respondents), their passion for drinking (56%), poor table manners (50%), rude behavior (38%) and selfie-taking mania (24%). 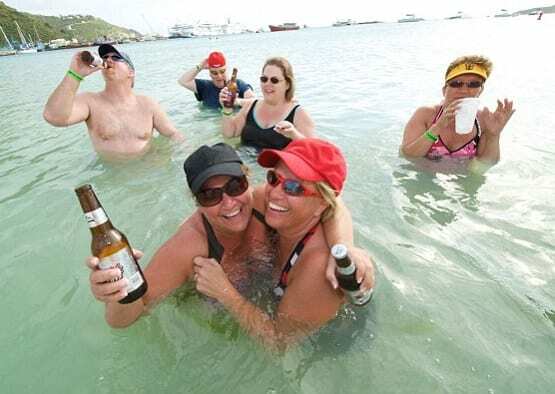 British holidaymakers primarily irked German tourists due to their unrestrained alcohol consumption. Also, 37% of German tourists were annoyed by British tourists’ consistent tendency to “occupy” beach loungers and umbrellas. In that particular instance, only one nation was more vexing than the Brits – the Germans themselves. 8 Nights In Naples, Italy From $529 Incl. Flights, Hostel, & Breakfast!